As trials with the new drugs are still ongoing, drugs are not yet part of the standard WHO-recommended core regimen for patients with drug-resistant TB. It is estimated that over 250,000 people die annually as a result of multidrug-resistant tuberculosis (TB), commonly known as MDR-TB. Patient triage is the process of rapidly determining the best treatment for patients based on their specific needs and anticipated outcome of care. Take a look at our annual reports of the past years. Our annual reports are available in both English and Dutch and contain all our results and beautiful stories and pictures. KNCV is proud of our experts. Here is an overview of all our national and international experts who are actively fighting tbc. We are regularly searching for new colleagues in our fight against tbc. 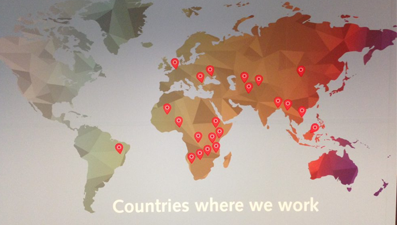 Here are our latest vacancies both in the Netherlands and in other countries where we're active. Find all the tools and manuals developed by KNCV. Also all our Scientific publications are published here. In 2014 we defined our strategy for 2015-2020. In the coming years KNCV will work towards achieving its mission of eliminating TB in three focus areas: access, evidence and supportive systems.